Whatever the reason for your trip, don't miss Barcelona. 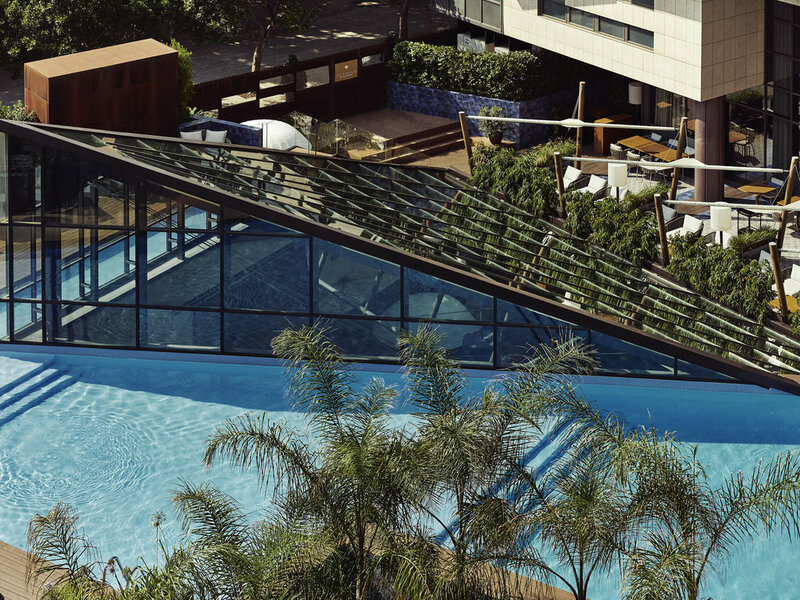 Even the tightest schedules allow a few moments of relaxation to take in the magnificent views offered by the Pullman Barcelona Skipper hotel, next to Barceloneta beach. The hotel features two gorgeous pools, a hot tub, solarium and much more to help you relax and feel at home. You can also indulge your taste buds at our restaurant, TENDIEZ, which serves authentic, exquisite tapas that you just have to taste. Whatever the reason for your trip, enjoy Barcelona by strolling along Barceloneta beach or discovering its historical streets and monuments such as Montjuïc Castle, then top it all off with some delicious tapas. Ground floor, recently renovated restaurants and bars. Rooms feature a contemporary design and are fully furnished and air-conditioned, offering added comfort. They are equipped with the latest generation 32" LCD TV, a useful desk and free ADSL Internet, Wi-Fi or cable Internet connection. Superior Rooms with terrace, views of theMediterranean Sea and plenty of natural light. Syrah is a versatile on request restaurant, ideal for holding conventions and private business or family events. Bar and pool in the hotel's penthouse. The menu comprises low-calorie salads and light snacks and a plentiful selection of fruit, shakes and natural juices, all designed with the health, weight control and well-being of our guests in mind. Fancy a cocktail? With or without alcohol, you will be amazed at the cocktails in our new TENDIEZ bar, featuring a contemporary but informal style so you can share great moments with friends and family.